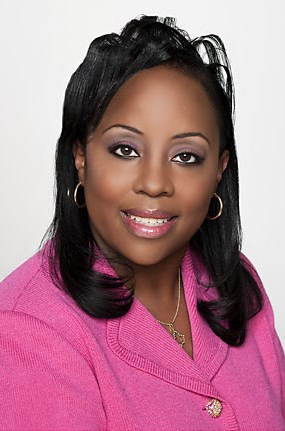 I am Sonya L. Bowen, Central Regional Director. Welcome to the official website for the Confident, Charismatic and Charmed Central Region of Alpha Kappa Alpha Sorority, Incorporated®where we are of service to all mankind. It is truly an honor to serve as Central Regional Director - a region encompassing 92 graduate and undergraduate chapters located in the states of Illinois, Wisconsin, Indiana, Kentucky, Minnesota, North Dakota, South Dakota, and the cities of St. Louis and Cape Girardeau, Missouri. Central Region is the home of over 5,000 dynamic active sorority members, who give their time, talent and resources to meet the needs of our communities. As we move into a new era, Central Region will work determinedly implementing programs of service focused on the international program theme of our International President, Dr. Glenda Baskin Glover. Central Region will not rest on its laurels for there is an abundance of work to do as we persist in our efforts of serving all mankind. The Confident, Charismatic and Charmed Central Region is proud to be a part of Alpha Kappa Alpha Sorority, Incorporated® -- an organization that has devoted 110 years of service. We are proud to be a part of the first Greek-lettered organization organized by and for college-educated African American women. We are proud to be a part of a dynamic group of women who are talented, creative and blazing trails for present and future generations. We are Confident we will make an impact in the lives of our communities. We are Charismatic while we work collaboratively to maximize our outreach globally. We are Charmed in our implementation of service. We are Central Region. Thank you for visiting the Central Region website. Please visit often to learn more about Alpha Kappa Alpha Sorority, Incorporated® and Central Region.